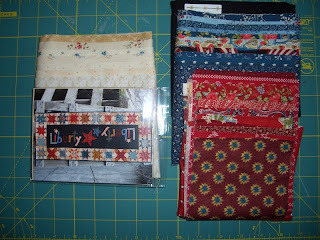 Kerry's Quilting: Design Wall Monday July 8, 2013. 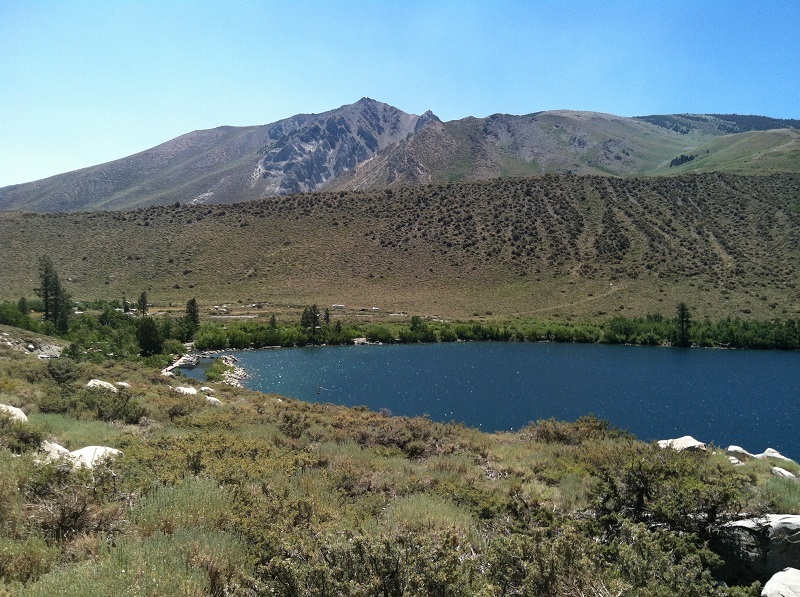 This week finds me up in the beautiful Sierra Mountains in Mammoth Lakes. Here to see the Jazz Festival and celebrate our one year anniversary. As always, I bring along the Janome for a little sewing time. 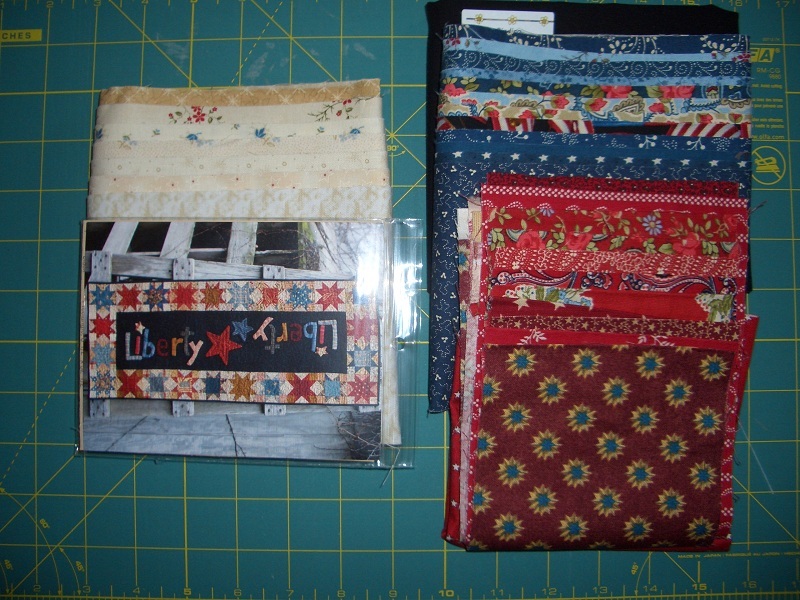 This week I will be working on my July UFO-Liberty table runner. 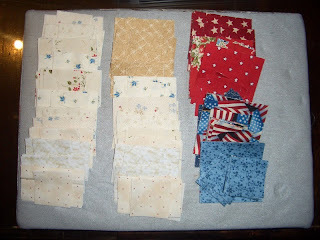 I have cut out all the pieces for the stars and will start putting together this afternoon. 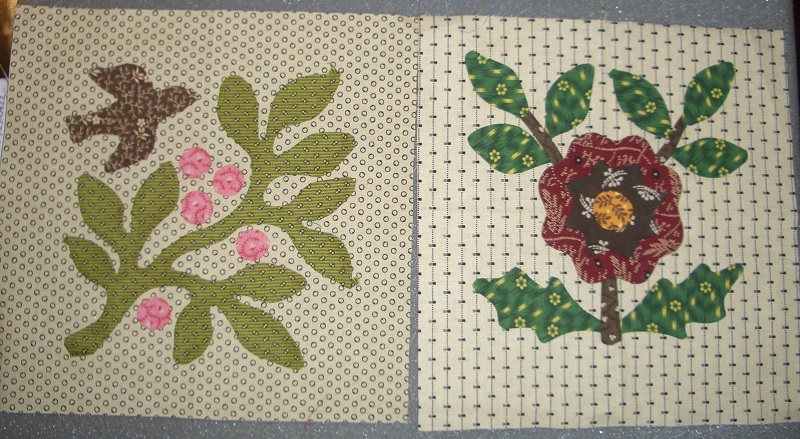 I am also working on a couple of applique blocks. 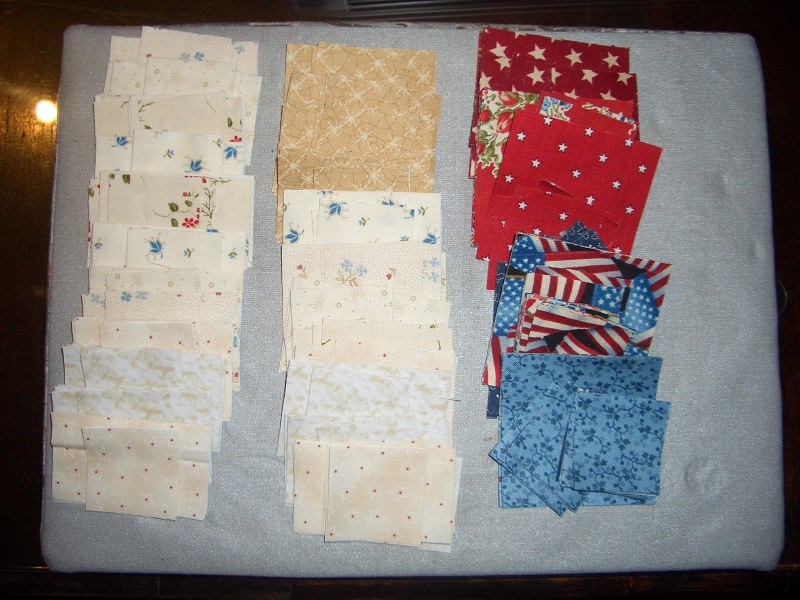 Have them all prepped and just need to sew the pieces down. 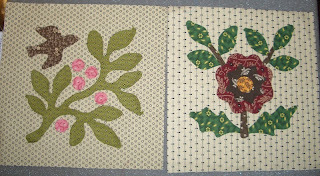 These are the first two blocks from a block of the month by Temecula Quilt Company in Temecula. It is a great little shop offering reproduction fabrics and patterns. 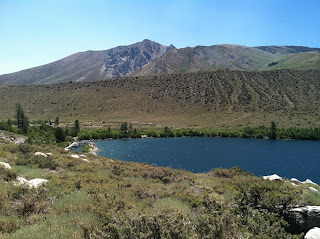 If you are ever in the area it is a must see. What is on your design wall this week? Check out all the other design walls at Patchwork Times.